While other consulting firms say they have expertise in integration, our website shows that we actually do. 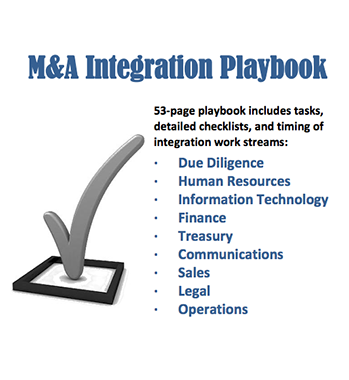 We have populated MergerIntegration.com with playbooks, tools, videos, checklists, assessments, presentations, and deliverables from hundreds of our M&A integration consulting projects (on deals valued in total in excess of $350 billion). Our long client list includes organizations from practically every industry. 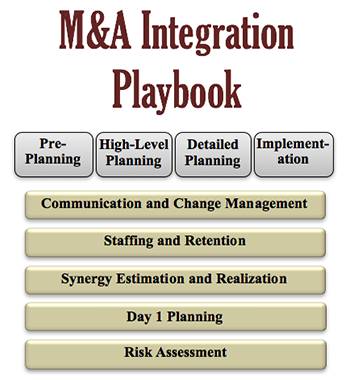 PRITCHETT is truly different than other M&A integration consulting firms in five key areas. PRITCHETT mobilizes integration teams and helps them create plans that are clear, logical, and achievable. Click on the images to view the articles authored by our consultants. Our consultants can help you develop an air-tight Day 1 Game Plan that will build trust and instill confidence. We make sure you come off the line fast and execute the all-important “opening moves.” A well-executed Day 1 buys goodwill with employees and customers. It also reassures analysts and quiets the skeptics. 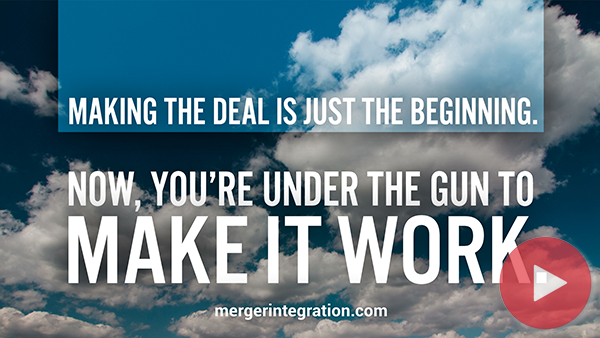 Mergers create an insatiable demand for more information. Our senior advisors can save you hundreds of hours of time by providing communication solutions that are field tested under difficult M&A conditions. 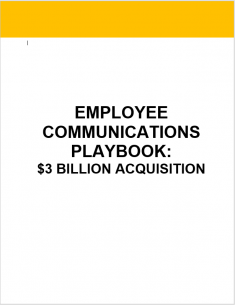 Our communication tools and techniques help keep people focused, productive, and engaged. 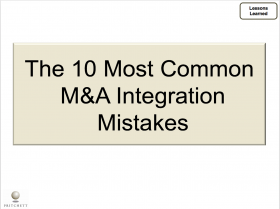 Deciding how to staff the combined organization is the most delicate task in M&A integration. There's almost always a need to eliminate redundancies and identify and retain people who are needed transitionally, but not indefinitely. 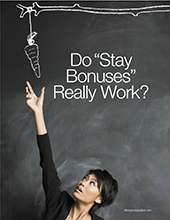 PRITCHETT advisors help you develop a staffing process that is fair, fast, and appropriate for your deal. The reality of the situation, however, is that success of a merger is often a function of how well the two firms’ cultures are integrated. Every integration is different, but all successful, efficient ones require processes for governance, scope definition, planning, scheduling, issue management, risk management, and reporting. 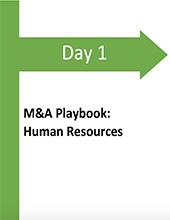 Many acquirers let these M&A processes evolve over time with patches made here and there. As experience is gained, tools and techniques are often missed or not captured and properly documented. 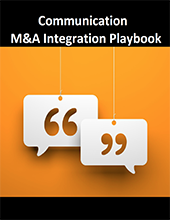 PRITCHETT can help you build a flexible, scalable M&A integration playbook tailored to your needs. Whatever the particular soft spots in your approach, we can address them as we improve and document your methodology. We offer advice and counsel, flanker support, and a structured, disciplined approach to integration implementation. 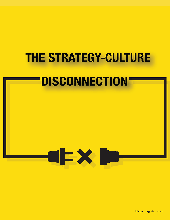 In particular, we know how to handle the defining moments, those make-or-break times when your strategy is most at risk. Our job is to protect the integration plan, front to back. PRITCHETT knows what to expect and how you should respond. We help you maintain momentum and keep your integration on track. This is no cakewalk. It calls for well-conceived, carefully timed moves, and they must be carried out decisively. We know the drill. Our consultants systematically debrief teams to capture lessons learned about the integration process. PRITCHETT helps ensure the know-how gained from an acquirer's experience is not lost. We document the hard-won wisdom. For information about our consulting services, call 800-992-5922.